IHA has an excellent full time employment opportunity for a Hospital Medicine physician to fill the role of Associate Division Head for Clinical Quality and Safety within IHA Hospital Medicine located in Ann Arbor, Michigan. The Associate Division Head is highly valued as the representative of the IHA Hospital Medicine Service. This individual is carefully chosen to lead his/her hospitalist team in the delivery of excellent medical care while remaining aligned with the IHA Hospital Medicine Service vision. This vision is extensive and includes IHA Hospital Medicine Service communications and administrative issues within the hospital, relations with the hospital staff and the community physicians. The Associate Division Head’s effectiveness rests on his/her understanding and alignment with the IHA Hospital Medicine Service vision and programs. Acts as a mentor and role model for Division providers in providing quality patient centered care and fulfilling the expectations as outlined in the Hospitalist job description. Encourages Hospitalists’ input and coaches the implementation of improvements concerning the quality and safety of care delivery within the hospital. Helps design and improve workflows within hospital medicine to facilitate provider compliance and effectiveness in meeting quality, safety, and utilization objectives in all sites where IHA Hospital Medicine Services provides patient care. Strives to build a hospital environment promoting trust and collegiality through healthy working relations with the hospital’s medical staff. Acts as the clinical quality liaison between hospital and outpatient medicine, more specifically concerning transitions in care, communication standards and workflows with a focus on readmissions. Works with patient experience teams from hospital and IHA to improve patient care experience related to physician communication. Works to advocate for efficient utilization of hospital resources. Develop and maintain dashboards demonstrating current state progress on Hospital Medicine Quality and Patient Safety related metrics across all sites for IHA Hospital Medicine, work collaboratively with Hospital to develop benchmarks and provide updates as appropriate to providers, IHA leadership and Hospital Leadership. Meets regularly with Division Head and IHA and Hospital leadership to review and prioritize quality initiatives and programs for hospitalist implementation. Meets at appropriate frequency with Site Medical Directors to develop priorities, goals, track progress and develop action plans as it relates to the individual practice. Participates in establishing Quality Metrics for the practice. Helps participate in hospitalist involved Root Cause Analysis meetings. Assists and contributes to the performance reviews of Hospitalists as well as APPs that are part of the service. Chairs the Care Team Steering Committee. Works closely with the Hospital’s Chief Quality Officer to Champion Trinity’s Zero Harm Initiatives. Assumes additional duties as required. Creates a positive, professional, service-oriented work environment for staff, patients and family members by supporting the IHA CARES mission and core values statement. Must be able to work effectively as a member of the leadership team. Successfully completes IHA’s “The Customer” training and adheres to IHA’s standard of promptly providing a high level of service and respect to internal or external customers. Maintains knowledge of and complies with IHA standards, policies and procedures, including IHA’s Employee Handbook. 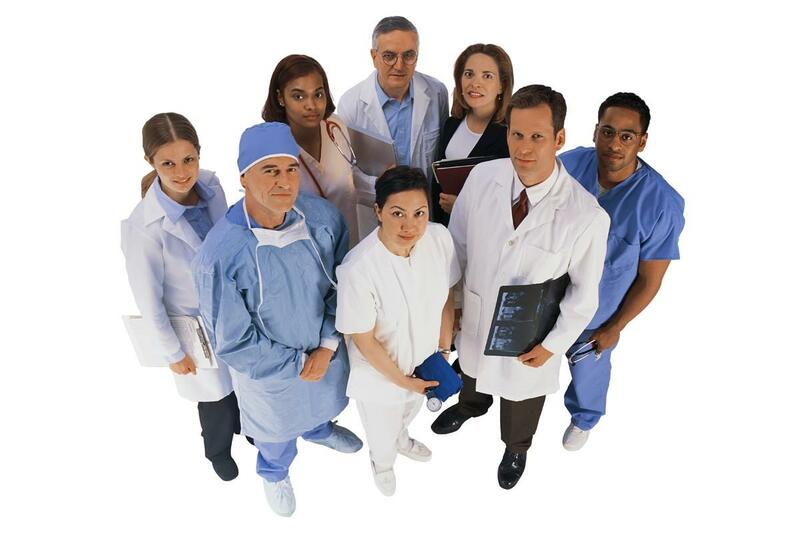 Maintains strict patient and employee confidentiality in compliance with IHA and HIPAA guidelines. Serves as a role model, by demonstrating exceptional ability and willingness to take on new and additional responsibilities. Embraces new ideas and respect cultural differences. If applicable, responsible for ongoing professional development – maintains appropriate licensure/certification and continuing education credentials, participates in available learning opportunities. Identify inpatient and/or outpatient disease specific work flows to improve quality of care for patients with chronic illnesses. Identify and/or create disease specific educational materials to help patients maintain quality health and reduce hospital utilization. Identify opportunities and reduce utilization of unnecessary admissions to acute or sub-acute care facilities. Identify opportunities and reduce utilization of unnecessary inpatient procedures, inpatient diagnostic testing. Improve and maintain hospitalist physician communication scores on HCAHPS survey. Improve and maintain hospitalist engagement and satisfaction scores. Improve and maintain hospital and hospitalist culture of safety scores. Essential qualifications for this role include completion of an M.D. or D.O. degree with current board certification in a relevant medical specialty. Medical staff appointments are required at Trinity Health hospitals such as St. Joseph Mercy Ann Arbor, St. Mary Mercy Livonia, St. Joseph Mercy Chelsea, and St. Joseph Mercy Livingston. The selected candidate must possess, or be eligible to obtain a valid, active license to practice medicine in the State of Michigan with a minimum of three years’ experience practicing in a Hospital based group practice setting. Preference will be shown to candidates who possess additional post residency training specifically focused on hospital medicine. This can be acquired through other indicators of expertise in the field such as Society of Hospital Medicine’s Fellowship in Hospital Medicine (FHM) or the American Board of Internal Medicine’s Recognition of Focused Practice (RFP) in Hospital Medicine (Society of Hospital Medicine). The successful candidate will also possess strong personal communication skills, an appreciation of (or willingness to learn about) financial issues, and a strategic orientation towards customer service are prerequisites for success. In addition, an orientation towards collaboratively problem solving by including providers and staff in efforts to continually improve all areas of quality. This is an exciting opportunity for the right Hospital Medicine to be an integral member of a well-established and respected multi-specialty group.